Construction and Trees don’t mix well. Contemplate earthworks carefully. Careless, unplanned or ill considered earth works will kill your trees just as surely a bulldozer blade. The only difference is it will take longer and cost more. Almost all the calls i get relating to tree health begin with abiotic factors (non living), wind as opposed to insects. Of these factors, earth moving rates very highly. A trees roots are vast (root length is roughly twice the tree height), deceptively fragile and close to the surface. They grow here because the soil is rich in organic matter and biologically active. The soil profile is good and the nutrient and water availability are good. It is therefore no coincidence that the various organisms with which trees have symbiotic relationships also exist here. Earth moving machinery damage delicate root structures, tear the cambium and severe large anchor root structures. Typical site work causes a truck full of other associated problems too. They destroy the soil profile, causes compaction, remove topsoil along with the nutrient rich organic matter it holds , disrupts soil horizons, overfills shallow roots staving them of oxygen, water and nutrient. Hard surfaces such as house slabs and driveways further compound the root starvation issues, but also add water management issues. Water, nutrient recycling and gaseous exchange no longer take place in the areas where the tree has invested its resources in root development. A tree in this situation will suffer from inadequate uptake of water and nutrient and therefore reduced photosynthesis and over drawing it’s stored resources. It’s respiration under such overfill will cease. Depending the care of the operators, damage above ground can be anything from nothing to broken limbs and severe cambium/trunk damage. This damage is mostly a reflection of operator care / skill and owner / operator communications about what is important and what is not. Mostly however, i think it’s fair to say the more serious damage is usually below the new veneer of green grass. Depending the extent of site works, the tree species and the extent and nature of compounding biotic and abiotic factors, affected specimens will often dieback and decline until death or removal over many years. I have witnessed this time and time again where people want to live in a home surrounded by lovely old veteran or Heritage listed trees. They initiate a development and in so doing end up killing the trees they sort to live alongside. By the time an arborist is called, the tree has serious and multiple problems. Often secondary pathogen infections and insect infestations have invaded the tree. 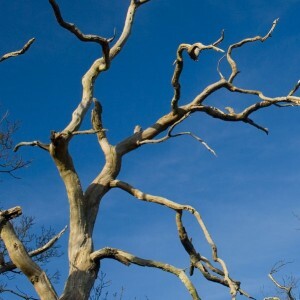 Usually there are large dangerous limbs with associated decay and dieback. There is a distinct change of attitude by stake holders, owners don’t like the eye soar, real estate agents cannot sell the property and corporates don’t like the public liability risks. There is little left for the arborist to do other than remove the tree. Living close to these majestic giants is not impossible, but it does require carefully considered and well communicated plans …get professional advice… and be aware: trees are not invincible, and they take a long long time to become what we see today. As an after thought …… after you have spent so much time and effort to get it right and preserve the wonderful trees around your site, beware the drain layer and his trenching machine!